Melbourne, Australia’s second largest city, is one full of character, backed up by its creative culture and grungy charm. 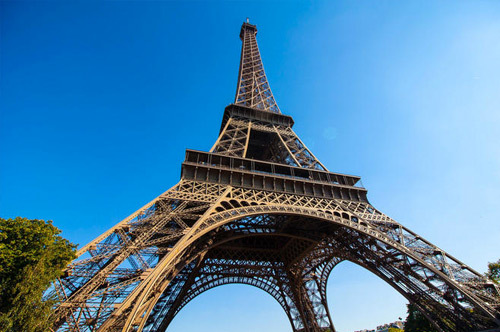 There are endless alleyways & streets, lined with eccentric restaurants, cosy cafes and quirky bars, along with museums, parks, street art & world-class shopping. But the real drawcard of Melbourne? The food. 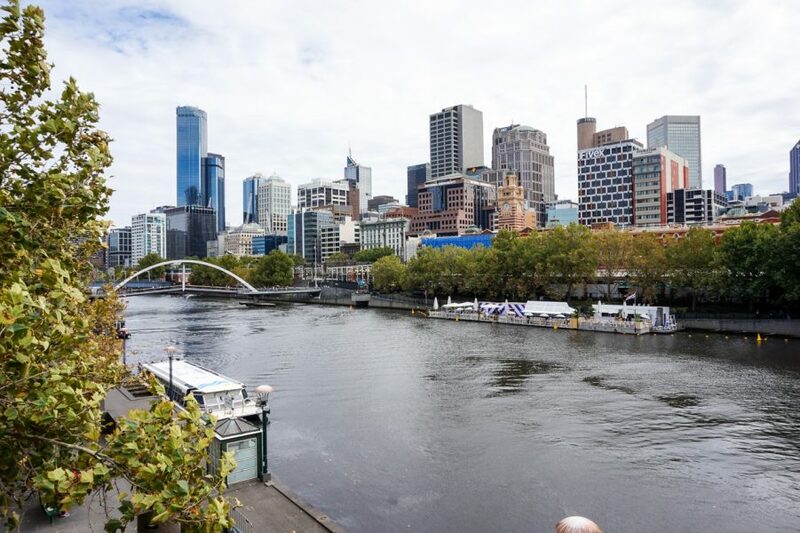 Here are our favourite places to explore in Melbourne, along with our top restaurant choices and the best Melbourne day trips. Perfect for 2-3 days in Melbourne. 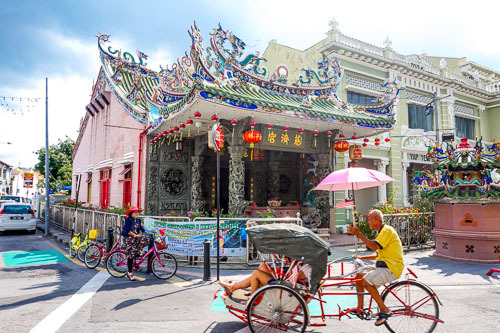 During lunch hour this pedestrian-only, ‘European’ street comes alive with hundreds of locals & tourists sussing out the hole-in-the-wall cafes, boutique stores and street art. Our recommendations? The Little Den for lunch, Degraves Espresso Bar for an afternoon coffee and Little Cupcakes for a sweet fix of, well, you guessed it, cupcakes! 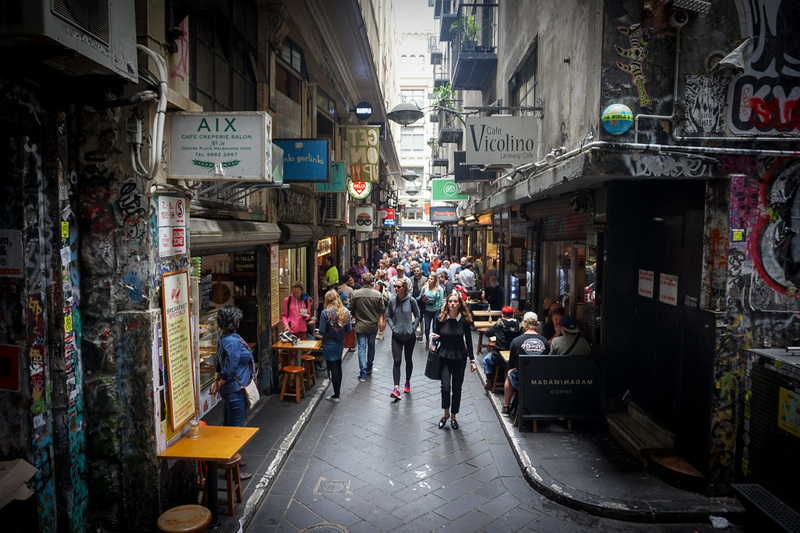 Degraves Street can be found a short walk from Flinders Street Station and has an atmosphere not to be missed. Calling out to all Italian lovers! Leafy Lygon Street in the neighbourhood of Carlon is one of the greatest food precincts in Melbourne. 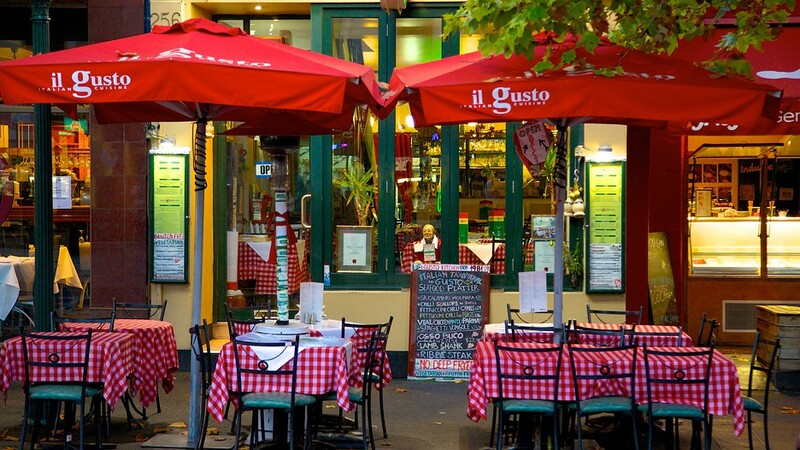 A multicultural street predominately lined with Italian cuisine and alfresco cafes. 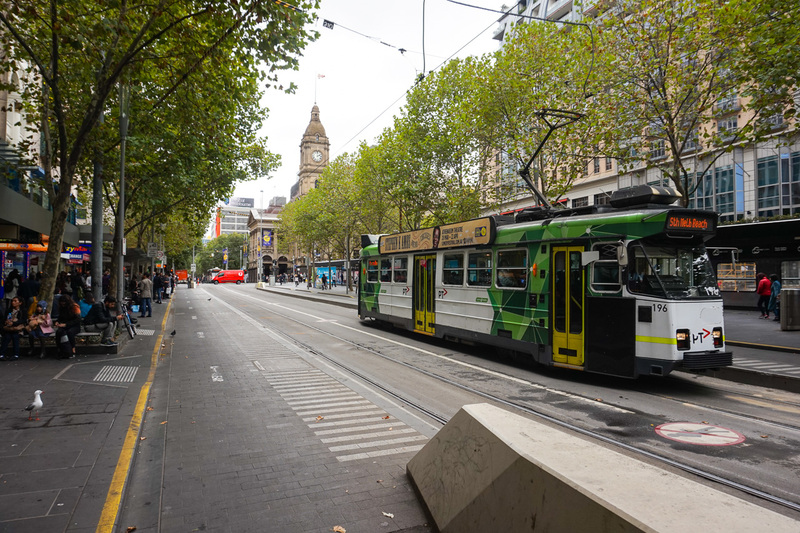 Lygon Street is heavily European in nature and is the home of the yearly Lygon Street Festa, one of Australia’s largest outdoor street festivals. Tables and chairs line the sidewalks of Lygon street and on a summer’s afternoon, it’s the perfect place to enjoy a bite to eat. Our recommendations? Papa Ginos & Tiamo for home-cooked, authentic Italian food. These restaurants have been around for over 20 years and know what they’re doing! 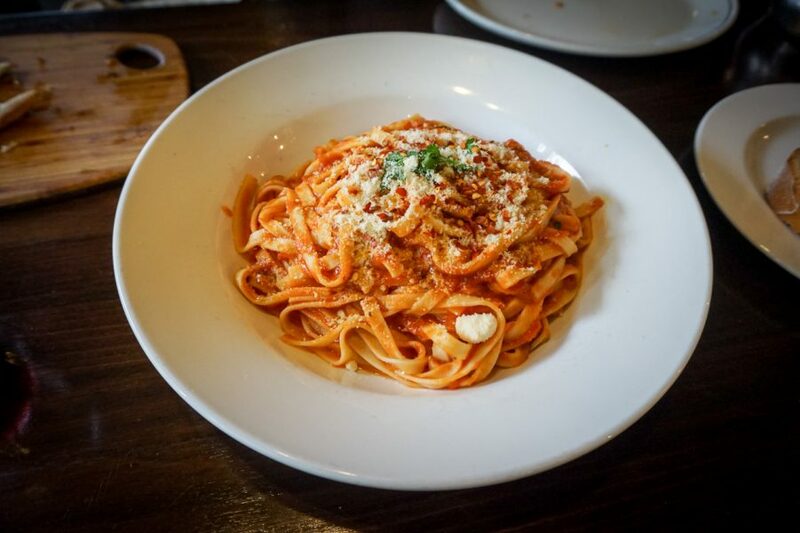 Try Seasons Provedore for their homemade pasta and DOC for pizza. 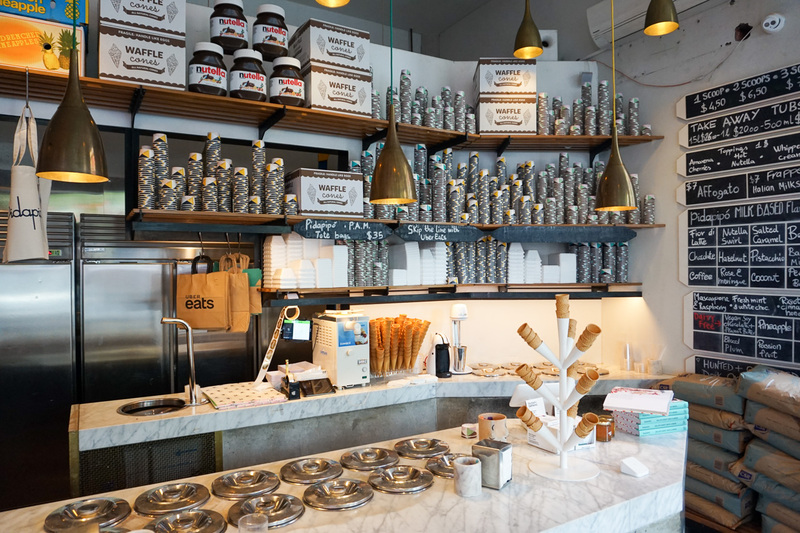 Make sure you keep room for dessert, skip every other gelato joint on the whole street until you reach Pidapipo Gelateria. Oh.my.goly.goodness! Absolutely incredible gelato. 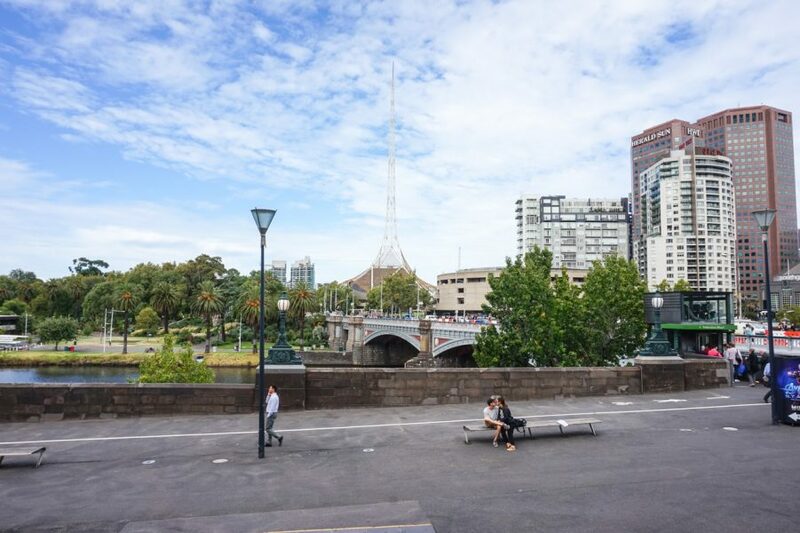 Other notable restaurants along Melbourne’s South bank are Neil Perry’s, Rockpool (steakhouse), and Spice Temple (Chinese), Dinner by Heston (degustation menu) & The Deck Restaurant (modern Australian with a view). Even if you don’t plan to indulge in South Bank, just enjoy a really nice walk along the river. 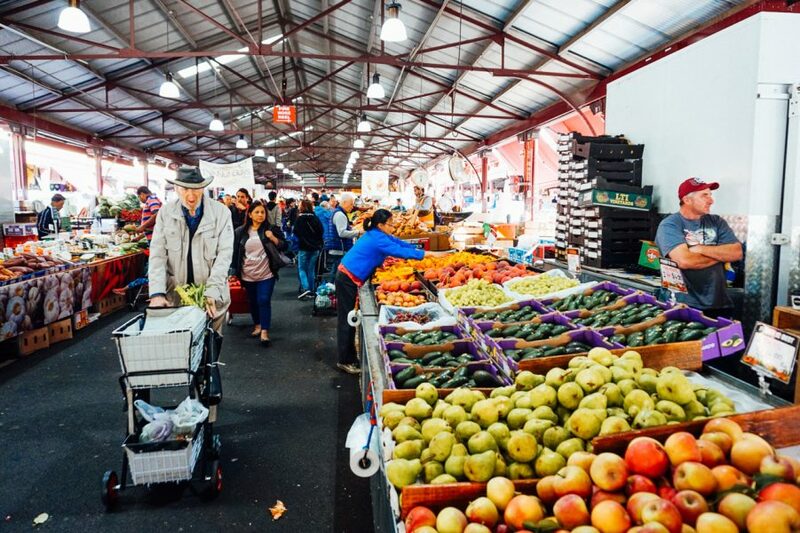 The Queen Victoria Markets are a foodie lovers paradise! 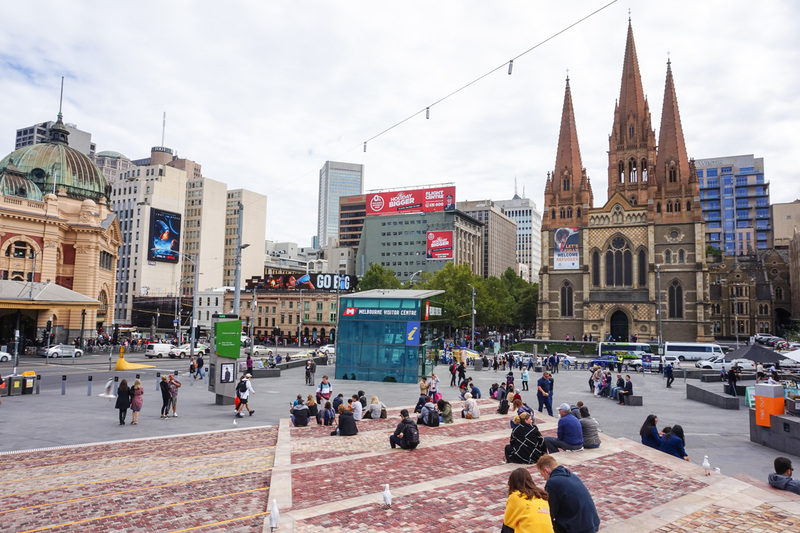 Considering it is the largest open-air market in the Southern Hemisphere, you should make sure you get here at least once during your visit to Melbourne and come hungry! Queen Victoria Market is not just a gastronomical adventure, but it’s also a cultural & historical landmark in Melbourne. You could spend hours roaming the fresh produce, clothing stores, souvenirs, antiques, bakeries & delis, spice stores, coffee shops, tea merchants and artisan chocolate stores. There is also a decently sized food court with a variety of cuisines from Greek to Sri Lankan & Italian. Stuck with what to eat? Try a Borek from the “Boreks” shop. One of the cheapest, most popular places in the markets to grab a bite. Spicy lamb filed pastries for just $3, in Australia, that’s a bargain! (Vegetarian also available). Note: The markets are closed Monday’s during the day and on Wednesday but they do re-open from 5 pm – 10 pm for the night markets on Wednesday during Summer. 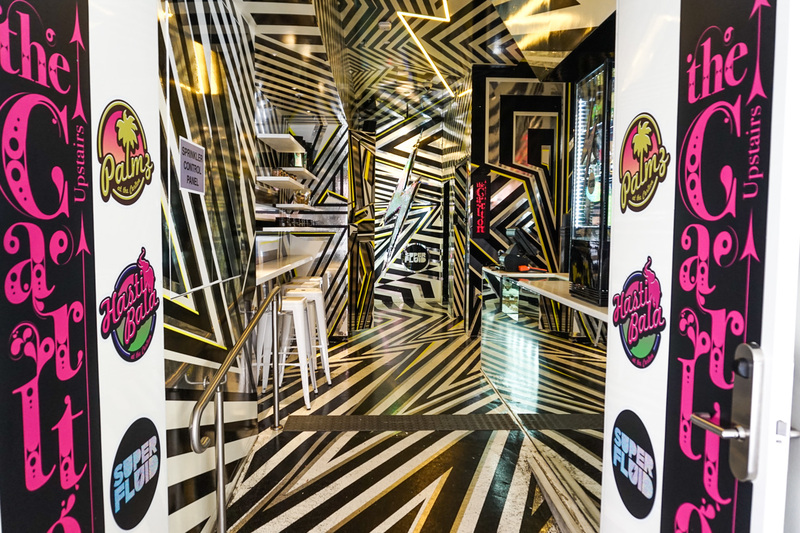 We may have spent a few days in Melbourne but boy did we get around to a lot of restaurants! These were our top picks and restaurants we would strongly vouch for. If only we had more time, money and room! 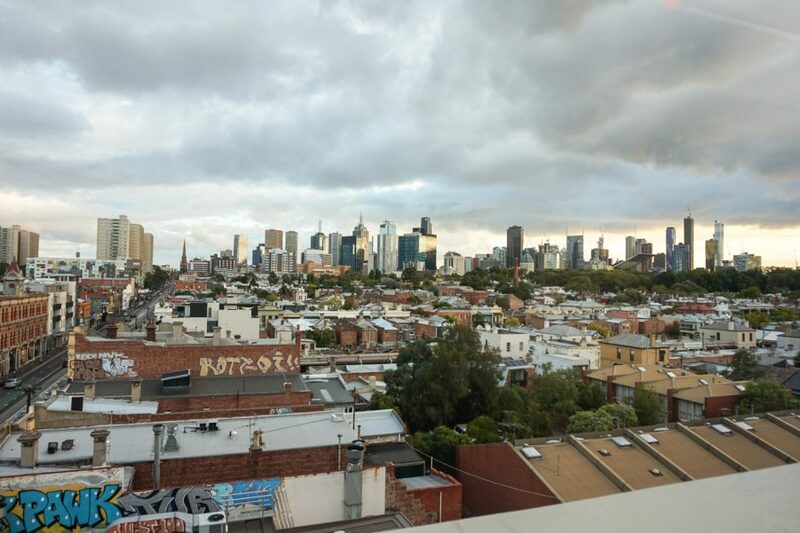 Naked for Satan: One of, if not the coolest rooftop in Melbourne! This multi-level bar/restaurant has a plethora of infused cocktails, a rooftop with awesome city views (& heaters for the winter) + a large space for groups topped with great decor. 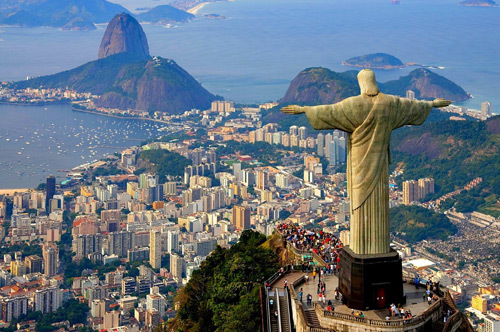 Definitely, a must visit! Little Hop: Just next door to Naked for Satan is one of the greatest little taco joints. Cheap and cheerful! Chin Chin (shown above): Asian fusion, most notably Thai. There can be a wait of up to 2 hours for this restaurant. We strongly recommended getting the ‘feed me’ option for $69. They come up with a selection of dishes for you. 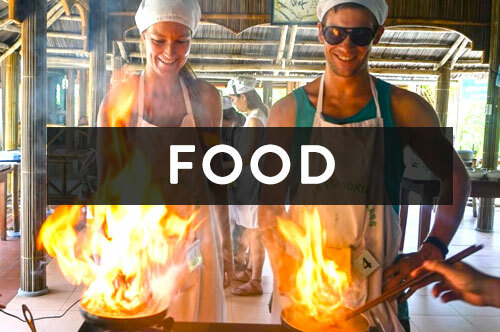 You’ll find great variety combined with a HUGE amount of food. 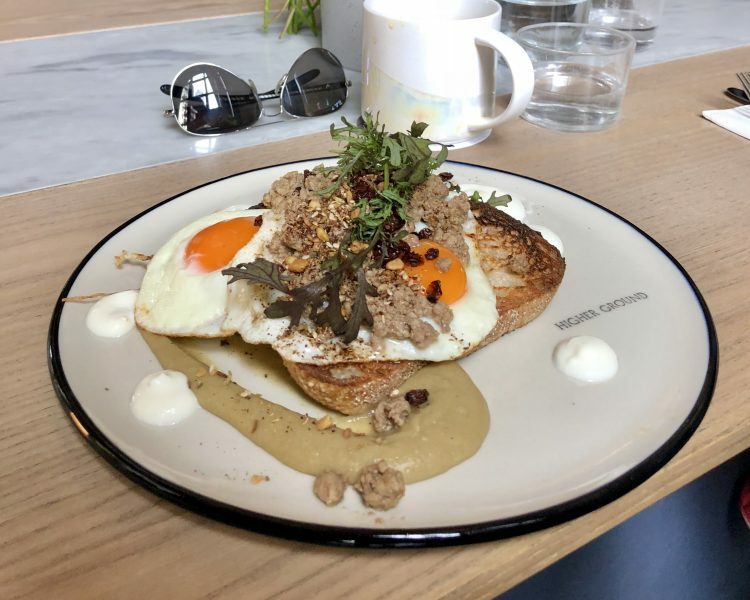 Higher Ground: A hip brunch restaurant with very ‘instagramable’ dishes. The Garden State Hotel: Perfect for after work drinks or a more upscale pub meal. There’s a lot of different areas inside of this hotel so make sure you go for a wonder before settling. Rooftop Bar: The city’s most popular rooftop bar. 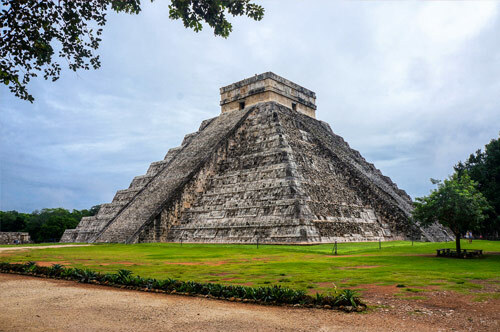 Prepare to hike the 7 flights of stairs to get to the top! During the summer they have an open-air cinema too. Keep your eye out for tickets. Sir Charles: You know those restaurants that everything on the menu sounds delicious? Yup, this is one of them! Great place for brunch. Go for the chilli scramble! Sir Charles can be found a bit further out in Fitzroy. Supercharger: Supercharger is a vegan, vegetarian restaurant located in the food court of the Emporium Mall. There is a large selection of healthy options and “do it yourself” bowls. Great value for money, quick and healthy! Cup of Truth: Hole in the wall Espresso Bar located inside the historic subway arcade in the CBD. On a side note, check out The Beauty of Melbourne on Instagram, they curate some amazing dishes in Melbourne. So maybe these aren’t related to food but not everything has to be about food (or does it?). 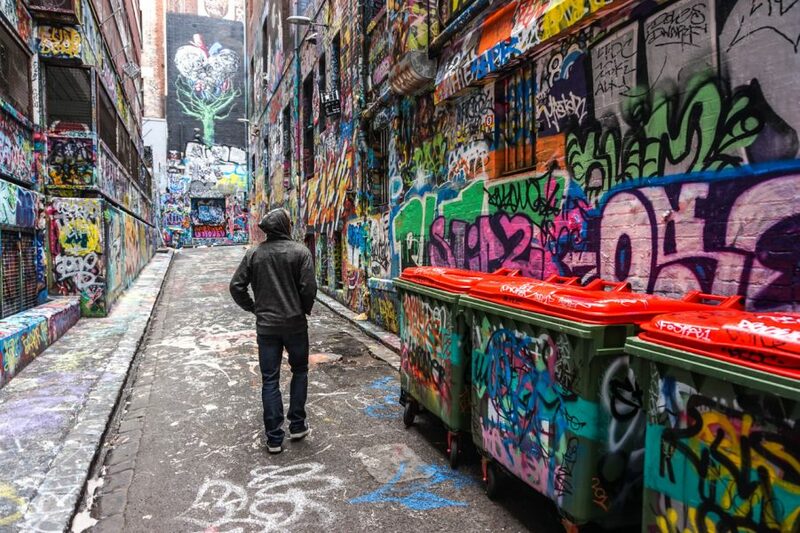 Melbourne’s street art is renowned worldwide and its legal status contributes to what we see today… a vibrant, urban environment with artists who are able to draw freely in public spaces. 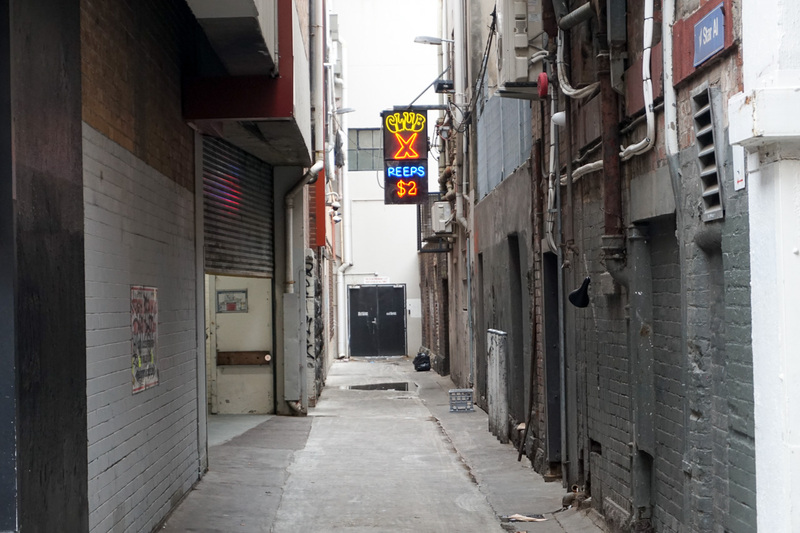 These 3 alleys, all within the CBD are worth a stroll, even if they are filled with tourists. 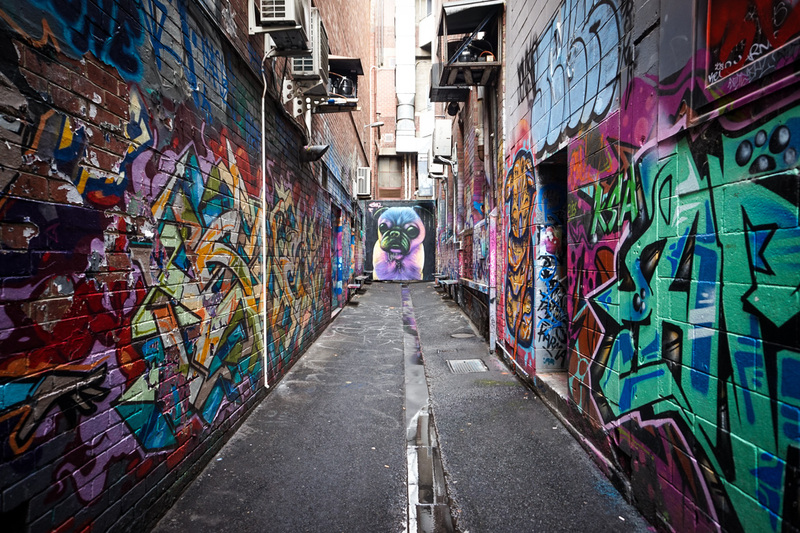 Hosier Lane is Melbourne’s most popular laneway for street art and it draws hundreds of tourists daily. 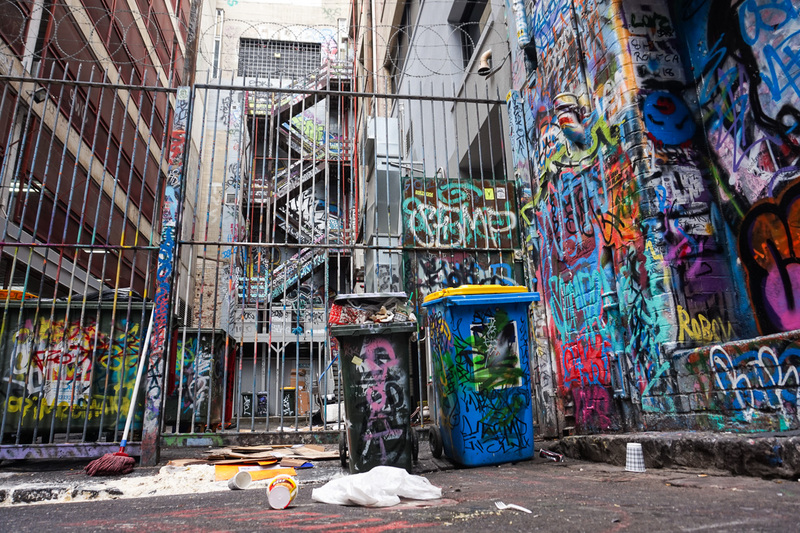 Hosier Lane has a lively and vibrant atmosphere, mixed with artworks that cover the entirety of the walls and even garbage cans. The murals are extremely colourful, unique and are constantly changing. Melbourne Street Tours give you more of an insight into the history and background of the underground culture in Melbourne but without this, your eye will still be impressed with what’s in front of you. 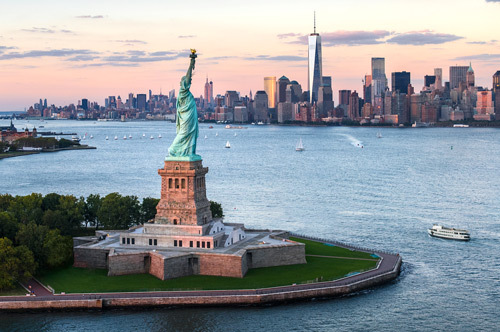 Don’t just explore the city. 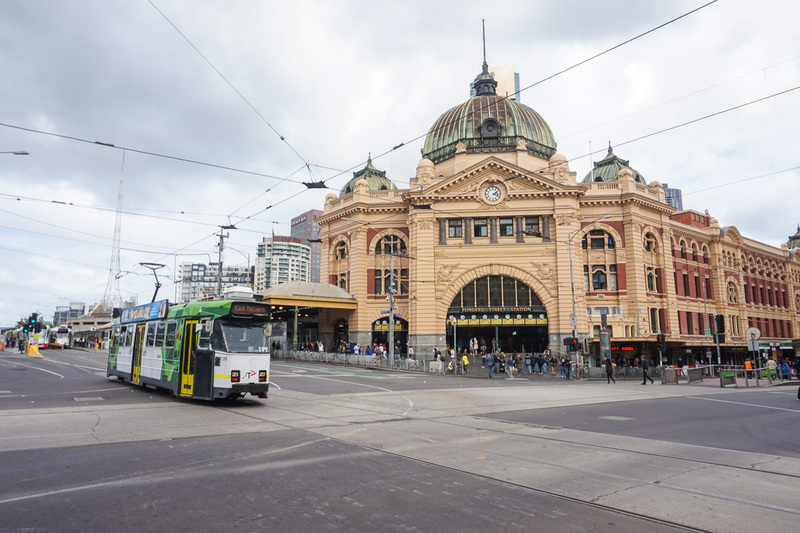 Rent a car and go on a short drive out of Melbourne! 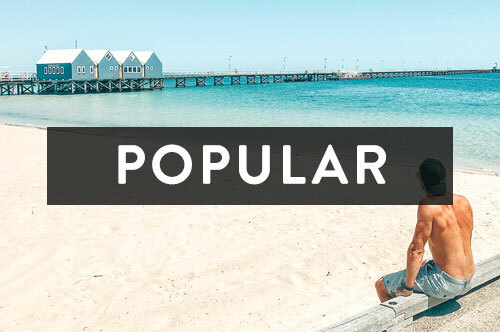 St Kilda – Melbourne’s closest beach town with a clean beach, a long jetty, a popular foreshore, restaurants, shops, bars and a very small ‘theme park’. Accessible by tram too. 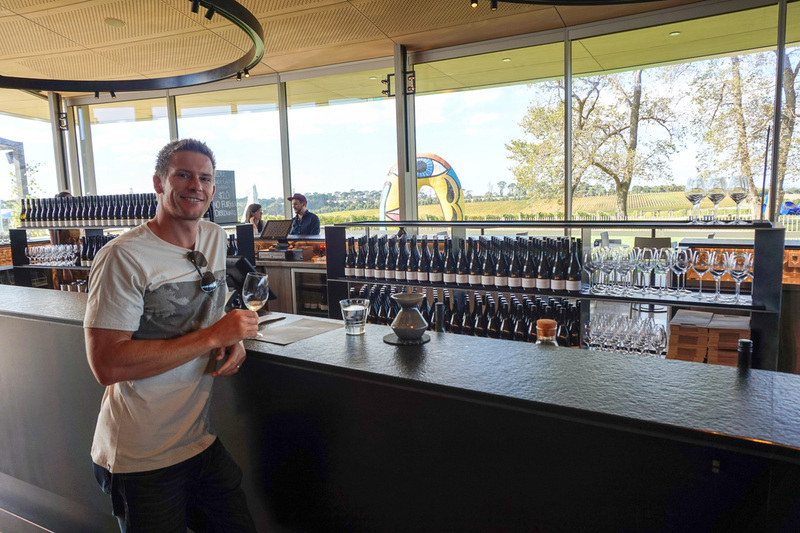 Yarra Valley – In our opinion, the most beautiful wine region in Australia. Not necessarily our favourite wines but the scenery as you drive through the region is absolutely stunning! 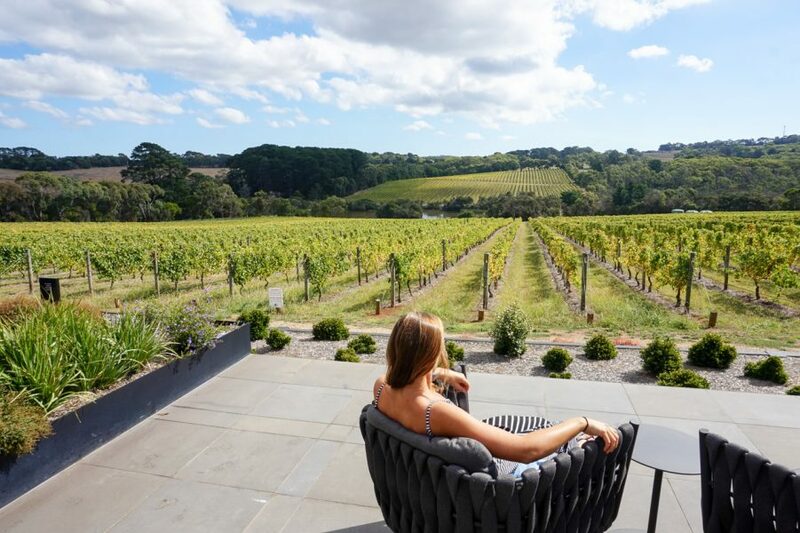 Mornington Peninsula – Located roughly 1.5 hours from Melbourne, the peninsula is the perfect get away from the city life of Melbourne. 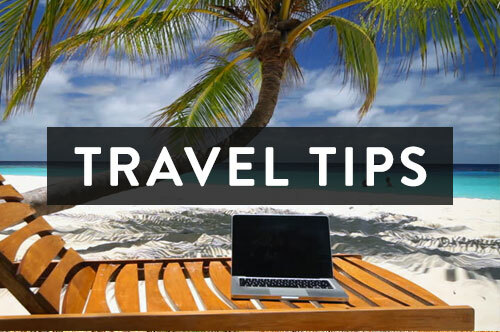 Beaches, wineries, top-notch restaurants, cute towns, hot springs and coastal walks. Spend a weekend down here or better yet, a week and start relaxing! It’s perfect! 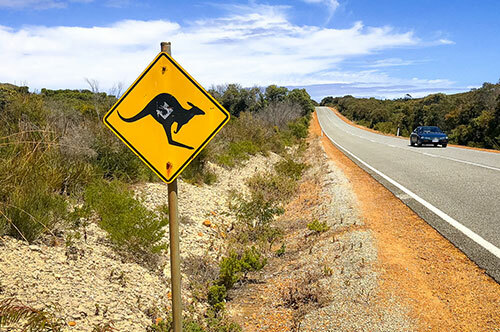 Great Ocean Road – 244km of coastal roads awaits! 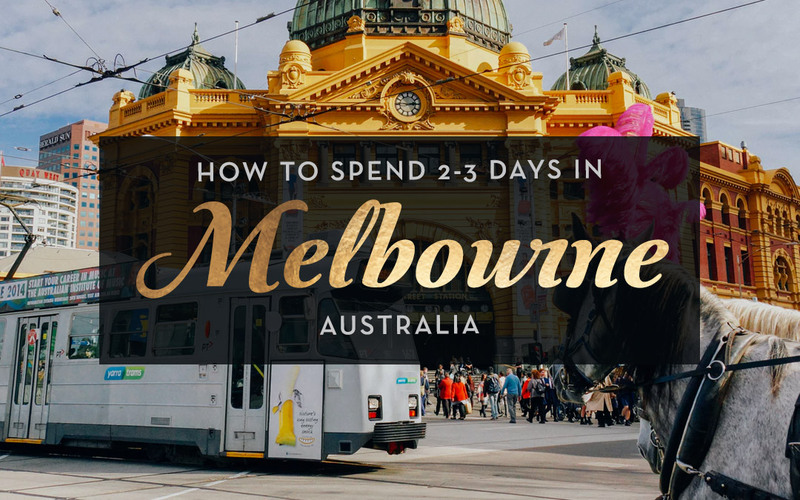 You can do this as a day trip from Melbourne but we’d recommend at least 2-3 days to get the most out of the towns, beaches and drive itself. 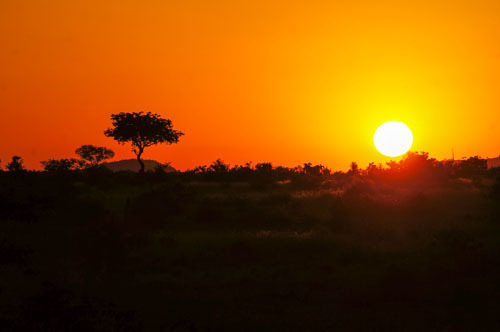 You can find our full itinerary here. In the last 3 months, we explored 5 of the 6 states in Australia; Western Australia, Tasmania, Queensland, Victoria and of course our home in New South Wales. 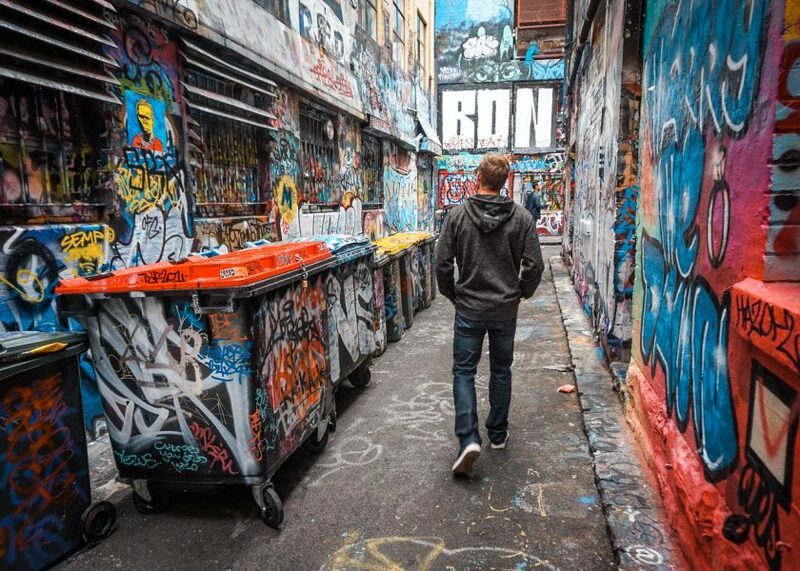 We’ve been to almost 80 countries combined and it wasn’t until we took the time to explore our own country that we realised just how fortunate we are here in Australia. The food and the beaches especially! Aussie, Aussie, Aussie! 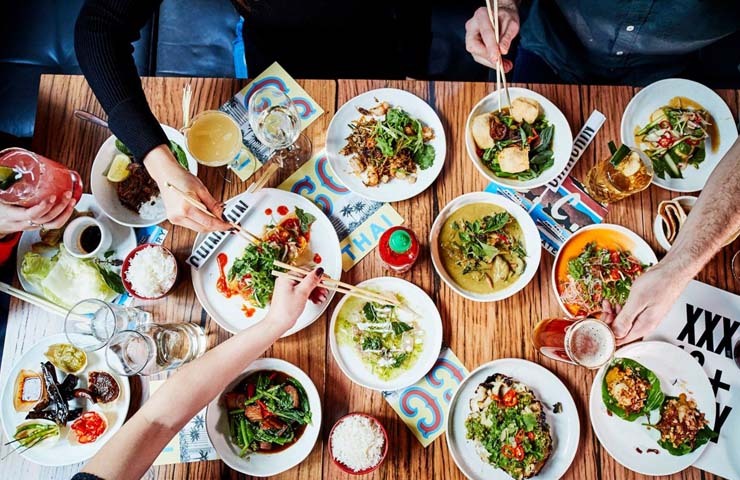 What are your favourite places to eat in Melbourne? 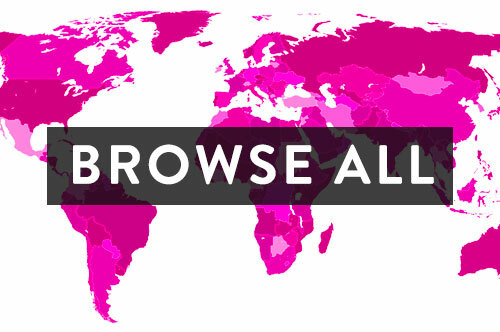 I’m sure we missed a few hidden gems and we’ll definitely be back, so let us know!